Lafayette High School’s Austin Hindman has already proven he’s one of, if not the best young triathlete in the world after winning the World Junior Championship last September. Now, the Missouri state champion will try to show he’s one of the country’s best high school distance runners and stamp his name in the Missouri record books. Hindman will run the Invitational 3200-meters Saturday night at the 50th Annual Arcadia Invitational track and field meet outside of Los Angeles. The meet is the premier regular season high school only track and field meet in the country. It draws some of the country’s best talent from across the United States. The meet’s premier event may be the 3200-meter races. 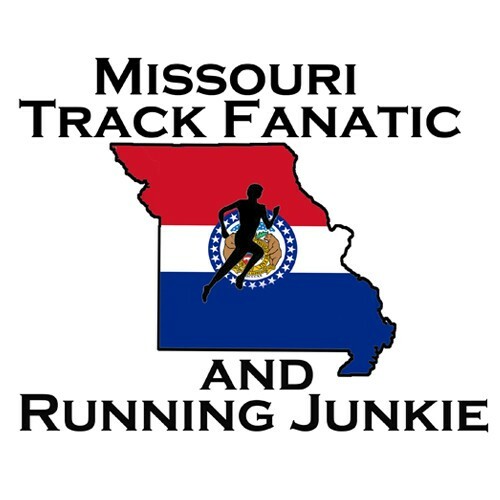 It annually produces many of the season’s fastest times in the U.S.
Hindman is a three-time individual state champion, as he defended his Missouri Class 5 3200-meters last May, as well as last November’s Class 4 cross country title in a state meet record time of 15:22.30. Hindman was also part of Lafayette’s “Fab 4” group that broke the State Meet record in the 4×800 last year with their US#8 7:40.29. That group included four runner who have all won individual state titles in cross country or track. All but Hindman graduated last year and are running collegiately: Devin Meyrer (Baylor), Alec Haines (Oklahoma State), Dylan Quisenberry (Missouri). That group posted an unbelievable 68 points in the distance races at State last year to help the Lancers to their first state title, to go along with their 2014 and 2015 state cross country titles. In January, Hindman was named the Gatorade Missouri Cross Country Athlete of the Year, joining the likes of previous winners Noah Kauppila and Maksim Korolev. At Arcadia he’ll try to join that duo, who are two of the just six Missouri men to break the 9:00 barrier for 3200-meters or 2-miles. Last May, Hindman joined an elite list, appearing to become just the 21st Missourian to break the 9:10 barrier in the 3200-meters or 2-mile. Saturday, he’ll try to go even faster and join that group of six under the 9-minute mark. But Hindman has his sights even higher, or actually, faster. He’ll try to go faster than the state record of 8:53. Missouri Track and Cross Country Association Hall of Fame coach Dave Denny guided two runners that ran 8:53 and went on to be world class athletes. In June of 1984, Belton High School’s Joe Falcon ran 8:53.3 in a time trial with a handful of post-collegians to clock the country’s fastest time for a high schooler that year. In 2000, after running 8:57.23 to set the Missouri State Meet record, Lee’s Summit High School senior Matt Tegenkamp ran 8:53.79 at the Golden West Invitational in California. The 3200-meter race has become especially popular at Arcadia in the past decade, with more and more of the country’s best distance runner’s seeking the opportunity to get in a fast race and run a blazing time. Hindman is the eighth Missourian to make the trip to Arcadia seeking fast times in the 3200 meter or two-mile race in the past 12 years. Hindman appears to be the 15th Missouri athlete to compete in the meet over the last 12 years in any event. While Hindman’s set the state cross country meet record of 15:22.30 for 5k last fall, that record may not mean as much as a track record, as cross country times just aren’t very comparable as the state cross country course has changed plenty over the years. But the distances of races on a track are quite comparable. So what Hindman does Saturday night, can be directly compared to what others have done before him. There’s not many guarantee’s in track and field, and especially distance running, but if Hindman could go faster than 8:53.3, it would be extremely special, no matter what’s ahead for him. It would at least put him atop a pretty impressive list. How did Joe Falcon and Matt Tegenkamp fair after their high school 8:53’s? Pretty good. Falcon was multiple-time NCAA Champion and is fifth on the all-time American mile performance list with a 3:49 clocking. Tegenkamp is a two-time Olympian, the American record holder for 2-miles with an 8:07, and fifth on the 5k American list with a 12:58. Hindman is scheduled to race at 10:47 p.m. Central time. Kauppila was on his way to a second sub-9 performance and possibly the state record, but lost a shoe and pulled off the track on lap 6 due to foot pain.